Squash and Pumpkins are some of my favorite things to paint. 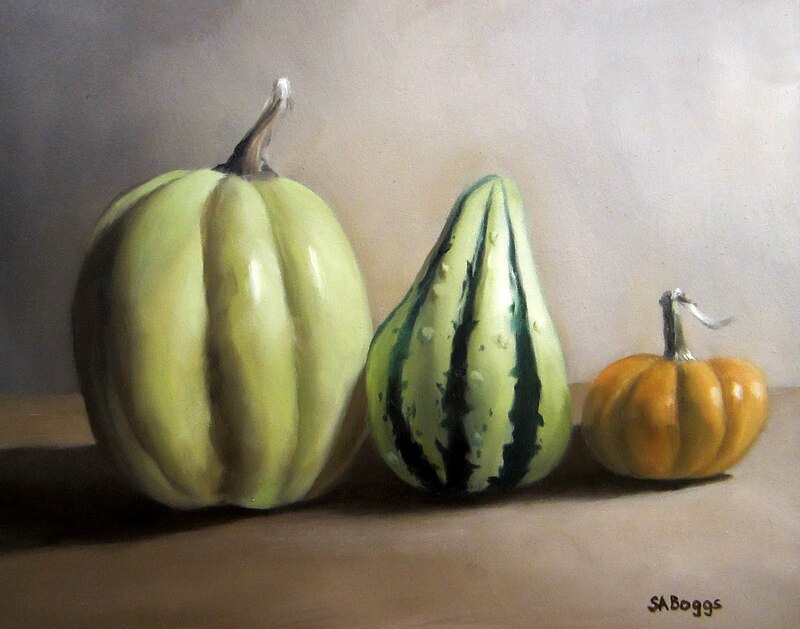 This painting has an Acorn Squash, a Carnival Squash, and a very small Pumpkin Squash. These items are life size on the panel and were perfect size for an 8x10 painting. I really like the neutral colors of the squash, kind of a slight greenish color on the Acorn and Carnival squash, and a pale orange on the pumpkin. I hope that you enjoy the painting!